Stronghold AntiMalware is a program, developed specially to protect your computer against malicious programs that can do harm to your computer or steal personal information. These programs include trojans, spyware, adware, trackware, dialers, keyloggers, adware browser extensions and other viruses. Stronghold AntiMalware scans your hard disks, registry and processes and removes all malicious software found. It also removes malicious BHOs and tracking cookies. Standard anti-virus software doesn't protect against spyware and other programs that track your internet browsing. Spyware and adware can still take root in your system. This is where Stronghold AntiMalware comes in, look at the feature to find out more. Thanks to easy, handy and eye-pleasing interface Stronghold Antivirus is great for novice users, and professionals will be amused by the power of its additional features. Being powerful it is still very lightweight and will not consume any noticeable system resources of your computer. You can set up any scan area you want, customize both on-demand and on-access protection modules, schedule scanning with separate settings, add programs to white and black lists and manage them, and more. Choose Stronghold Antivirus to protect your computer from all modern online and offline threats and let our professionals care your PC while you are working or entertaining without problems and infections. 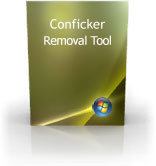 Registry Cleaner is a handy, easy, fast and up-to-date way to increase your computer's performance by scanning and fixing the system registry on 21 different levels. Meet this safe and reliable way to search and delete various registry problems like wrong paths, invalid shortcuts, erroneous and obsolete data. Registry scanning is fully customizable and all changes can be reverted back. 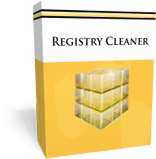 Make your system stable, fast, and error-free with Registry Cleaner now! Here you will find different tools to remove particular types of viruses, spyware, adware or other types of pests from your computer. Each tool was created to deal with a specific type of problem, but can deal with a broad range of related problems as well.